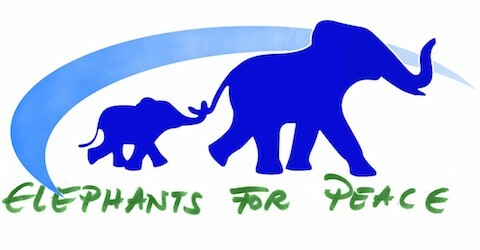 On the 22nd – 25th of September 2016 Elephants for peace will participate to the World Peace Forum in Florianopolis, Brazil. Come to join us and collaborate for the creation of a peace culture and for its diffusion. Created with the mission of disseminating the message of peace in Europe and throughout the world, the Schengen Peace Foundation contributes to build a more peaceful world by promoting peace, tolerance and knowledge through multicultural dialogue, debates, publications, exhibitions, workshops, internet platforms, meetings, education programs and studies about peace. In partnership with UNIPAZ – International Peace University, in its 10th edition the World Peace Forum will take place in Brazil. The capital of Santa Catarina State, Florianópolis is known for its natural beauty, embraces the movement and receives the largest and most important gathering of world peace agents. We believe that every great action arises from a set of individual actions. The power of collaboration and complementary ideas are leading us to promote a meeting where experiences can be exchanged and new perspectives will be created. Our guests are academics, peace activists, executives, journalists, students, religious and political leaders, as well as any citizen which recognizes peace as a priority. The human capacity of overcoming is what feeds the flame of hope alive in every human being who seeks the good for all people, in order to jointly act beyond individual interests. Join us in this framework for the dissemination of world peace. Be an active volunteer of this group and join the X World Peace Forum. We’d like to receive your video as well. How can you generate peace in others? How to disseminate peace world wide? You’re welcome to record your videos and e-mail it to din@dinrose.com – a group will edit it and add information regarding X World Peace Forum so we can spread it online. You can do it in English, Spanish or Portuguese – the forum’s official languages, or in any other languages if translation into English is included. We’re together, in Peace and through Peace! Queremos recibir su video también . 1. ¿Qué es la Paz para ti? 2. ¿ Cómo puedes generar paz para el otro? 3. ¿Cómo difundir la Paz en el mundo? – un grupo hará la edición colocando las informaciones del X Forum Mundial de la Paz para difundir por las redes – puede ser en portugués, inglés y español- las lenguas oficiales del Forum , o también en otros idiomas, más precisamos de la traducción en inglés para poder editar . 20. August 2016 23. September 2016 mariaComments are off for this post.